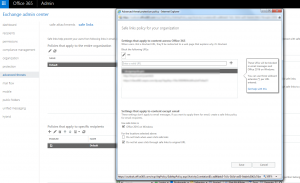 You are here: Home / Blogs / Office 365 – are users safe? 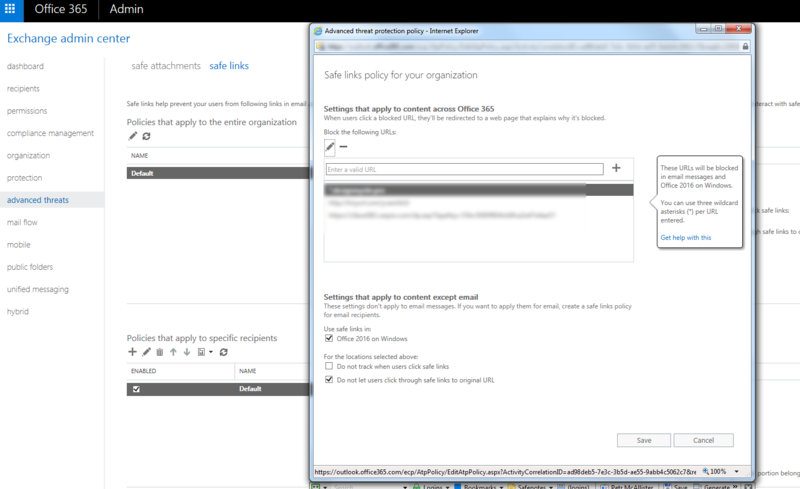 Office 365 – are users safe? Have you seen recent Span attacks? They get more and more believable – I’m ashamed that I followed one of them few months back. Email was coming from my company’s HR and asked to provide feedback on my manager – and I had a lot of feedback. So I clicked the URL it took me to a page that basically demonstrated that our company SSO system failed again and I needed to enter my domain credentials…. Then I realized the page was outside of my company’s area of control. I can say that for years I considered myself as experienced security expert and could easily spot spam emails – not anymore after such tragic failure. Office 365 can be considered as main stream today. The product (or cloud offering) has extensive mechanism to protect end-users from different attacks. One item I looked this week was Advanced Treat Protection (ATP) safe links. Level III Support received a message forwarded by Helpdesk that they got from one of the users. To summarize – after first try ATP safe links mechanism has failed to detect malicious web-site URL and didn’t block it. Also complex safe link generated URLs confused users. However with Office 365 ATP controls and ability to do compliance search and apply actions (such as phishing email removing from Exchange system) – you can a lot of tools under your fingers to help fighting attacks and investigate consequences.